Twitter has today announced new targeting options for its Promoted Tweets and Promoted Accounts products that let advertisers display ads based on people’s ‘topical interests’. The new targeting options will let advertisers deliver promoted accounts and tweets to users with interests that will, hopefully, match up more closely with the content in the ads. The targeting comes in two flavors. 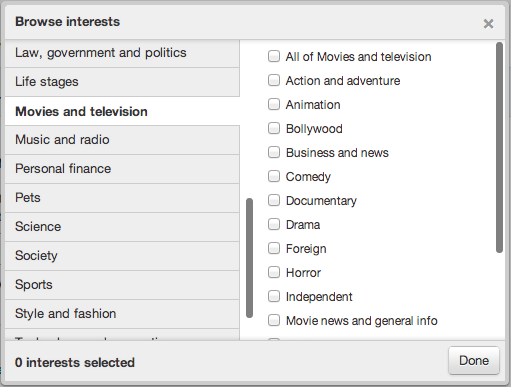 First, there’s a broadly applied categorical interest selector, as seen in the screenshot below. 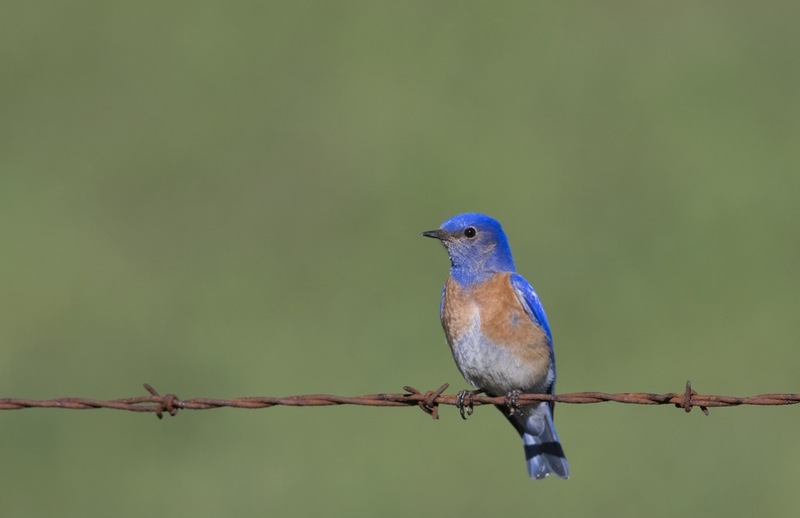 This lets advertisers pick from 350 different arenas of interest for Twitter users. You can select multiple areas of interest based on the content of your advertisement and who you think it would most appeal to. For more precision, you can target specific @usernames and the ads will target the people with similar interests to the followers of that user. Note that you cannot specifically target the followers of that user. So, if you have an influential user in an area like cooking, and you know that the followers of that user are likely to be interested in that kind of thing, an audience can be constructed based on those interests, but you can’t ship an ad directly to them. Twitter is also lowering the minimum bid on ad auctions to 1c. If you look at Twitter’s efforts over the last couple of years, you’ll see that almost all of its advertising-based improvements have been geared towards offering tighter targeting of audiences to marketers. Promoted Accounts were an addition to Twitter advertising that showed up in October of 2010. The company also recently launched more specific targeting that allows advertisers to select specific regions and devices only. Twitter’s ad revenue has been projected to reach $540M by 2014. Although the cynical might jump on this announcement and start making jokes about Twitter leveraging user data to drop ads right into your lap, this isn’t anything new in advertising. Google has been using your personal information and browsing habits to target you across its enormous AdWords network for years, and this option from Twitter is even less personal. By not allowing advertisers to carpet bomb the follower lists of popular accounts in a category, it’s actually creating a more subtle and protective environment for users than many web-based ad companies. What isn’t clear is how Twitter is determining how a user is interested in a particular area or is not. A combination of tweet data, who they follow and who follows them is most likely. Remember that, at some point, we’re all going to be using Twitter’s official clients to view Twitter. This means that we’re all going to be seeing these ads. So better targeting of advertisements should theoretically mean that you’ll be seeing less jarring and disruptive ads from brands that you’d never consider buying into. As far as brands go, this is another tool that Twitter is offering to make its advertising more competitive with the landscape of advertising as it stands today, so it should be a good bump up in finesse. The move also displays another way in which Twitter is using its enormous stream of data to monetize its service. This joins the ranks of previous ad efforts, but also ties in with the partners in the Twitter Certified Products program that resell and analyze that data.